291 fans have viewed Bob Dylan tickets today! Bob Dylan is an American singer-songwriter and musician from Duluth, Minnesota. Starting his music career in 1959, he came up through the American folk music revival scene and released tracks such as Blowin' in the Wind and The Times They Are a-Changin, which became anthems for the American civil rights and antiwar movements. Bob Dylan will be performing 1 event in Augsburg on Saturday 20th April 2019 at the Schwabenhalle. Scroll down to see all ticket options and prices. 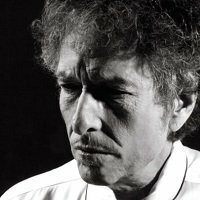 If you'd like to see a list of Bob Dylan events, please CLICK HERE. We display the most accurate ticket prices available to us, but Bob Dylan ticket prices can change based on demand & availability. Stereoboard takes no responsibility for any difference in prices, or accuracy, displayed here and those on external sites. Our listings are purely for information purposes only and we are unable to verify any accuracy.